Here’s a picture of Diapet Diarobos(Daiyarobo) that I bought in Japan. I bought everything I saw in the store but apparently, there are several more than what I picked up. 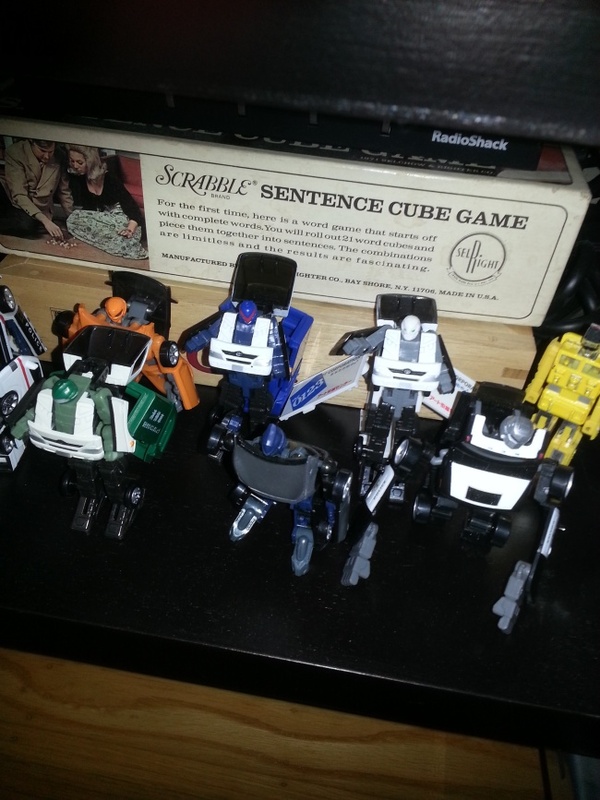 They’re like the Gobots (Machinerobo series in Japan) small and easy to collect as they’re very reasonably priced at 6-8 dollars each. The packaging, however, isn’t as nice as the Machinerobos as they are just on cardboard backing. But they are nice little cars that transform into robots.